In a previous post Finola mentioned gorse wine and it struck us that non-Irish readers may not be familiar with gorse – that ubiquitous, loved and hated shrub that covers the Irish countryside above a certain elevation. We love gorse because of the flowers – bright yellow flowers that bloom all year long and lend vibrancy to the landscape. In summer and autumn when the heather is also in bloom the contrast between the yellow of the gorse and the purples and pinks of the heather makes the countryside come alive with colour. In the spring and early summer when the flowers burst forth the hillsides look as if they are lit from within, but many bushes hold on to hints of yellow right through the winter. This property of gorse is immortalised in the Irish saying when gorse is not in blossom, kissing’s out of fashion. We hate gorse for two reasons – the thorns and the way it takes over everything. To cut it back, chop it down, venture near it, you have to wear a suit of armour. Hiking through it is painful or impossible – even the low-growing strands manage to weasel their way into your socks and the thorns can pierce a sturdy boot and make every step torture. Here at Nead an Iolair the garden has grown wild over the years. In a garden on an Irish hillside, this means that the gorse has taken over. The hill behind the house was covered in it, some even encroaching on the back wall. 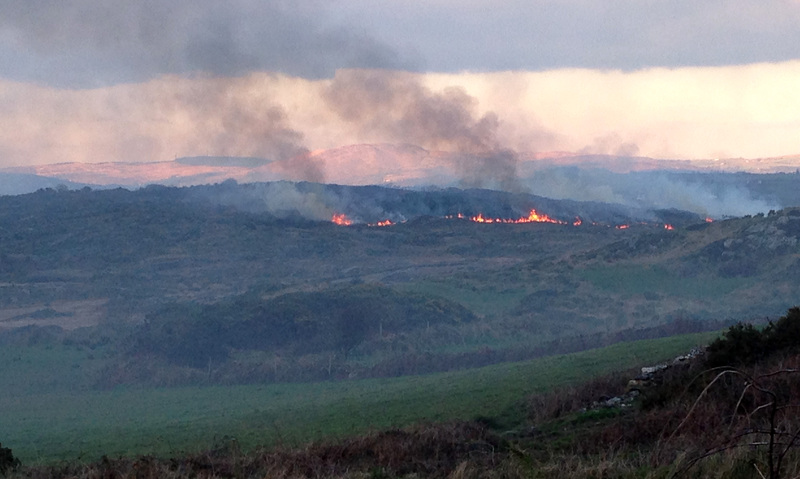 Given the local farmers’ habit of setting fire to the hillsides in the spring, this was a significant hazard. 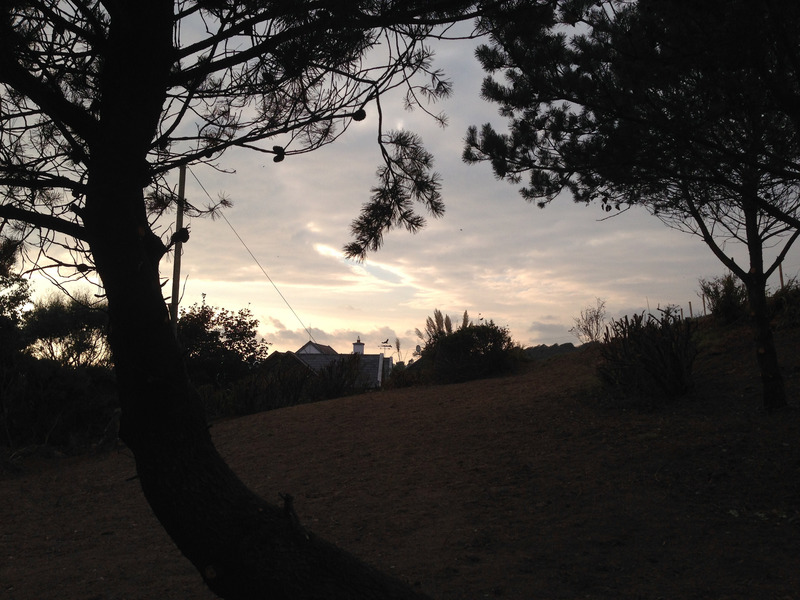 The area to the left of the driveway was sporting enormous stands of gorse, some as tall as trees. We could see the tips of other plants struggling for survival in this jungle but, apart from a small island of grass, the area was impenetrable. We can see the house! This week we tackled the problem. 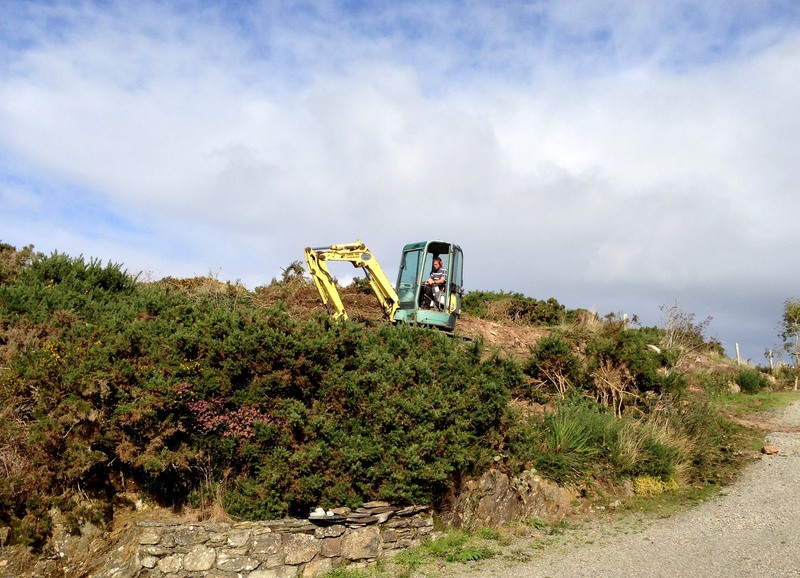 It has taken several days, a digger, chainsaws and copious amounts of sweat but by Friday victory was declared and where there had been a gorse forest there is now a haggart (an Irish word for a small field beside the house) surrounded by a beautiful stone wall that we knew was in there but couldn’t see. We also unearthed a standing stone, giving us our own enigma to ponder. While we are not contemplating a goat herd for the haggart, we do have dreams of a field of bluebells one day. And maybe some gorse wine. This entry was posted in Gardens, Nature, Roaringwater Bay, West Cork and tagged burning, Gorse, Nead an Iolair, standing stones. Bookmark the permalink. And I thought our yard was a challenge. Dad and Joan K gave us the link to your blog. We hope things are going well for you. Ireland is on our ‘Bucket List’ so we’ll enjoy reading your blog for some insights. Take care. Hi there! Great to hear from you. I browsed aroiund your blog and feel like I got a little caught up with your life – which just sounds like one long vacation. Isn’t retirement wonderful! Am amazed at the transformation! You saw it in the original state. Hopefully by your next visit we will have grass! How impressive – a lot of hard work and now a great space for some bluebells, frittilleries, daffodils, wild garlic etc! And the stone looks interesting too. Have fun continuing to reclaim the hillside. Yes – it’s the same colour as broom – just with the awful thorns. Sorry, Finola I addressed Robert instead of you. Robert, wine first and then the bluebells. Standing stone looks interesting! 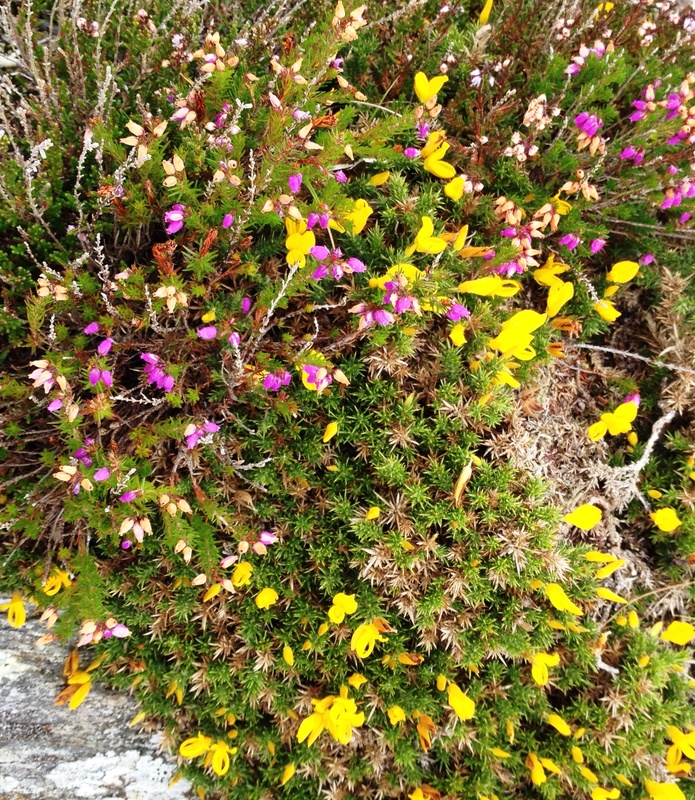 Not sure about Ballydehob but round here it’s called ‘Furze’ I think – only us blow-ins say ‘gorse’! Hey, who are you calling a blow-in? Yes, I’ve heard lots of references to furze, but our Irish landscapers call it gorse as well, so it seems to be one of those words. Like scone. Or scone.